Like many of the Greek islands in the Eastern Aegean, Samos plays host to two very different types of visitor. By day, tourists arrive on ferries and chartered flights, to soak up sun and sweet Samian wine (beloved of Lord Byron), and perhaps make an improving excursion to the Temple of Hera, solemn consort of Zeus. By night, crowded landing craft float silently towards the beaches. They contain refugees fleeing conflicts in Syria and Iraq, Afghanistan and Somalia. Some of these boats capsize in the Mykale Strait, a treacherous channel that separates Samos from mainland Turkey, and the rest of the Asian continent. Others are intercepted by Frontex, the EU’s border guard. If they do reach safe harbour, it is likely that their passengers’ next stop will be an overcrowded detention centre in Vathy, the Island’s main port. 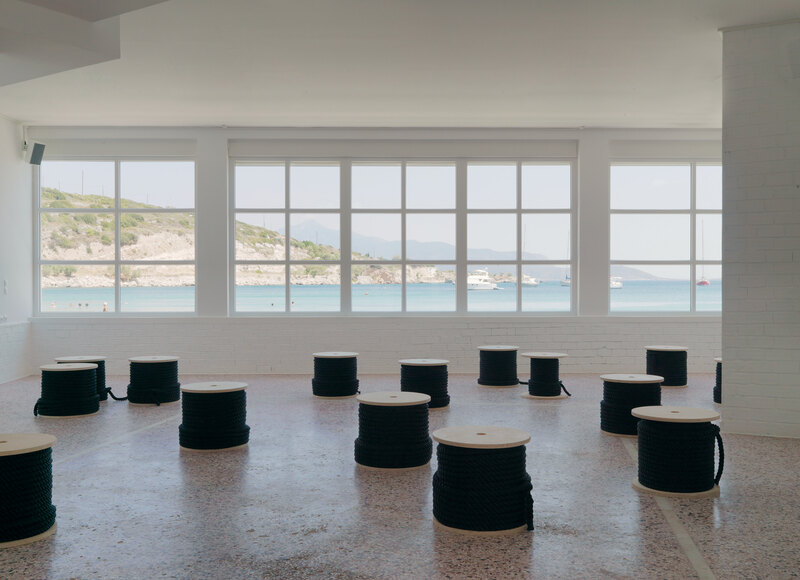 Entitled ‘Borderlines’, and curated by Marina Fokidis, Nevin Aladağ’s solo exhibition at Art Space Pythagorion included several works that took Samos’ geographical – and political – boundaries as their departure point. Read the article, published on Frieze Blog in September 2014, here.